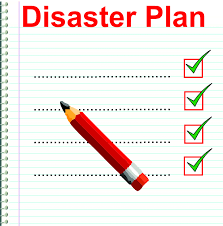 Have you got your plan ready so that you know what to do in a emergency situation? Prepare and respond for an emergency such as fires, local flooding and extreme weather conditions that are likely to happen where you live. Plan what you will do. How you will evacuate. Let your loved ones know that you are safe. Have an emergency kit ready that might include batteries, first aid kit, bottled water, torch, radio, non-perishable items, tin food, medication, emergency contact details, cash, map of the area and a mobile phone.